See knap a jacob, etc. Anything of an inferior quality is said to be a dicky concern. Particularly any article you have stolen, either because it is worthless or that there is danger of immediate apprehension. Also to quit his company, or leave him for the time present. Or to knap the ding. Or which you can well spare, having no further occasion for it. 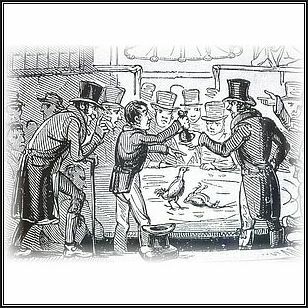 This phrase is often applied by sharps to a flat whom they have cleaned out and also by abandoned women to a keeper, who having spent his all upon them, must be discarded or ding'd as soon as possible. So contrived as always to throw a nick. A term used by smashers. To do a queer half‑quid or do a queer screen is to utter a counterfeit half‑guinea or a forged bank note. Beyond the reach of probable detection. To obtain anything you were in quest of is called doing it up for such a thing.A person who contrives by nob-work or ingenuity to live an easy life and appears to improve daily in circumstances is said to do it up in good twig. 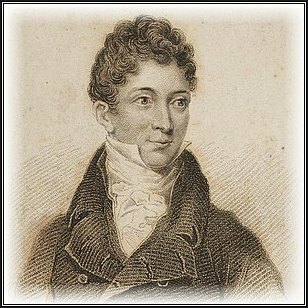 A thief who has been fortunate enough to acquire an independence, and prudent enough to tie it up in time, is said by his former associates to have done the trick On the other hand a man who has imprudently involved himself in some great misfortune, from which there is little hope of his extrication is declared by his friends, with an air of commiseration, to have done the trick for himself. That is, his ruin or downfall is nearly certain. See cant for more information. The whole dollop means the total quantity. As in he was done for a crack, meaning he was convicted of house‑breaking. Or to tip him the dublin packet, signifies either to run away from an officer in pursuit openly, and elude his attempts to overtake you, or to give him the slip in the streets or elsewhere, unperceived.Commonly done to escape from an officer who has you in custody, or to turn up a flat of any kind, whom you have a wish to get rid of. Sometimes synonymous with awake, as when the party you are about to rob sees or suspects your intention, it is then said that the cove is down. It is a suspicion, alarm, or discovery which taking place and obliges yourself and palls to give up or desist from the business or depredation you were engaged in. To put a down upon a man is to give information of any robbery or fraud he is about to perpetrate, so as to cause his failure or detection. As in to drop down to a person. When in the attempt to pick his pocket you fail to effect it at once, and by having touched him a little too roughly you cause him to suspect your design, and to use precautions accordingly. Or perhaps, in the act of sounding him, by being too precipitate or incautious, his suspicions may have been excited and it is then said that you have put him down, put him fly, or spoiled him. To drop down upon yourself is to become melancholy or feel symptoms of remorse or compunction, on being committed to jail, cast for death, etc. A man who gives way to this weakness is said to be down upon himself. These are merely emphatical phrases, used out of flash, to signify being awake to any matter, meaning, or design. The drag is the game of robbing carts, waggons, or carriages, either in town or country, of trunks, bale‐goods, or any other property. Done for a drag signifies convicted for a robbery of this nature. The act of so stealing a pocket-book, or handkerchief, is called drawing a reader, or clout. Called drawing him of so and so. To draw a kid is to obtain his swag from him. See kid-rig for more information. As sold on cards by the haberdashers, etc. As in He dropp'd me a quid, meaning, ‘He gave me a guinea’. A kid who delivers his bundle to a sharper without hesitation, or a shopkeeper who is easily duped of his goods by means of a forged order or false pretence, is said to drop the swag in good twig, meaning, to part with it freely. Or any event which is deemed inevitably certain, is declared to be a drummond, meaning it is as sure as the credit of that respectable banking‑house, Drummond and Co.
Also to button one's pocket, coat, etc. Come, tip us the dues. So a thief, requiring his share of booty from his palls, will desire them to bring the dues to light. 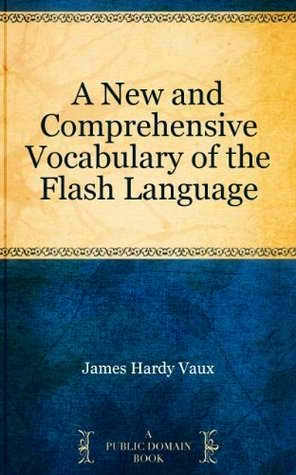 This word is often introduced by the lovers of flash on many occasions, but merely out of fancy, and can only be understood from the context of their discourse. Like many other cant terms, it is not easily explained on paper. For example, speaking of a man likely to go to jail one will say, there will be quodding dues concerned. Of a man likely to be executed there will be topping dues. If any thing is alluded to that will require a fee or bribe, there must be tipping dues, or palming dues concerned, etc. Thieves who confine themselves to this, and think, or profess to think, it paltry to touch a clout or other insignificant article. This class of depredators traverse the principal streets of London during the busy hours and sometimes meet with valuable prizes.